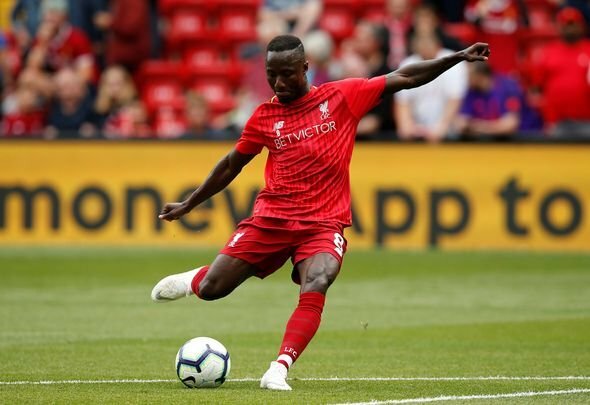 Liverpool midfielder Naby Keita stormed into the hearts of many Reds supporters on Wednesday by impressing against Burnley. The 23-year-old summer signing hasn’t instantly hit the ground running as he has failed to consistently maintain a high level of performance, but against Sean Dyche’s side he blew several fans away. One was particularly impressed by the midfielders ‘silky’ dribbling skills, which in fairness some of Jurgen Klopp’s other midfielders clearly lack, while others just simply tweeted the fire emoiji to display their feelings. Hopefully Keita is able to kick-on from his fantastic performance against Burnley as he clearly has the skills in his locker to be a success story at Anfield. The only question that hangs over him is whether he can regularly excel in Klopp’s side as he has previously dazzled before this season, especially in this season’s Premier League opener against West Ham. The 23-year-old was making his 11th league appearance against Burnley on Wednesday and you feel that he should understand the division enough by now in order to excel in it. Keita played an important part in the game ending 3-1 in the Reds’ favour. Keita has been the best player on the pitch. Sturridge and Matip have been very poor though. Naby Keita playing like an absolute baller today. See him scoring/assisting today for sure. Brilliant dribbler. Naby Keita what a player???????????? Only silver lining: there is a serious footballer in Naby Keita. Keita is looking silky man ??? ?